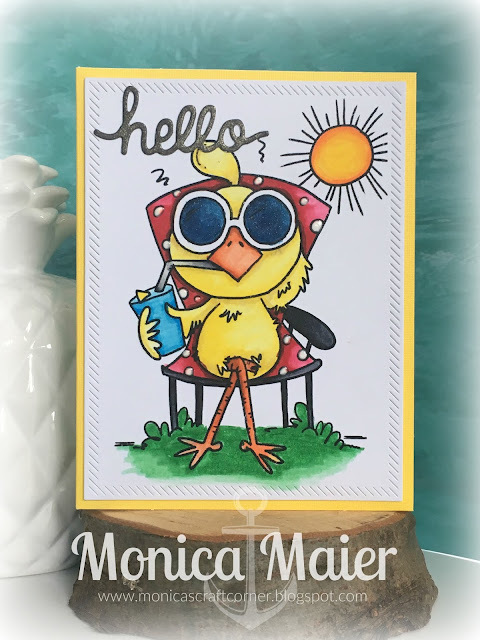 Today's post is a post for the Die Cut Diva's challenge blog where we have a summer theme currently! I can't believe today is the first official day of summer! I thought the Fired Chicken image from Bugaboo was perfect! I used markers to color in the image. I die cut the panel before adhering it to the base. 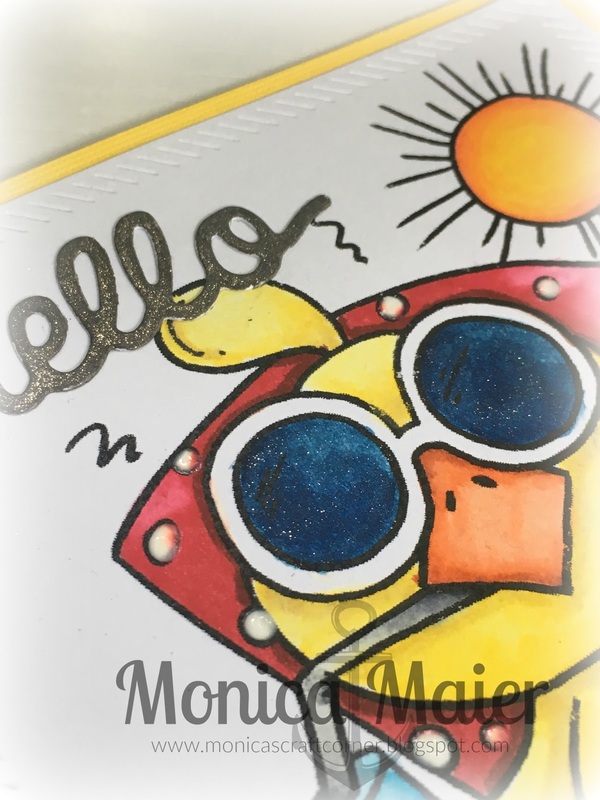 I think die cut my sentiment, then colored it black with a black glitter marker. To finish off the card I added some clear glitter to the sun glasses for more sparkle and some Nuvo dots on the chair. Thanks so much for stopping by and have great day! So very cute.Great all around card.